Craterellus cornucopioides, or horn of plenty is very delicious and sought after by mushroom enthusiasts and chefs alike. Found in early autumn in hardwoods around oak and beech trees. These mushrooms are delicious fresh or dried. 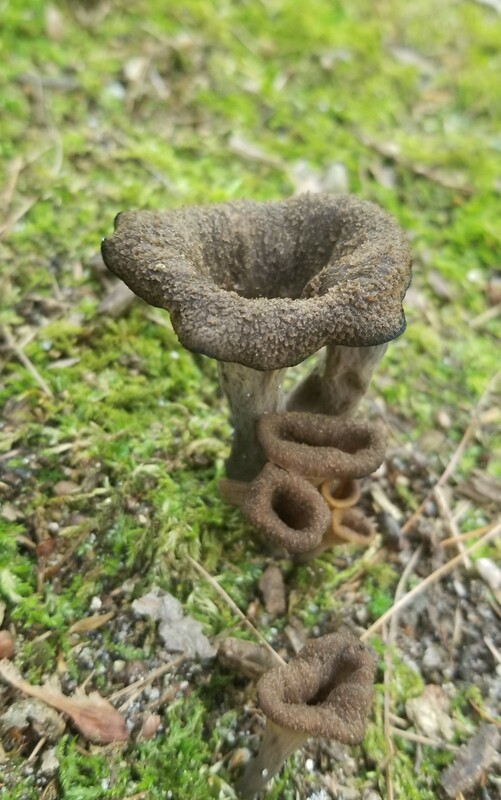 There are no poisonous look-alikes to these when they are found in the late summer/fall, however Devils Urns have a slight resemblance but are found early spring.